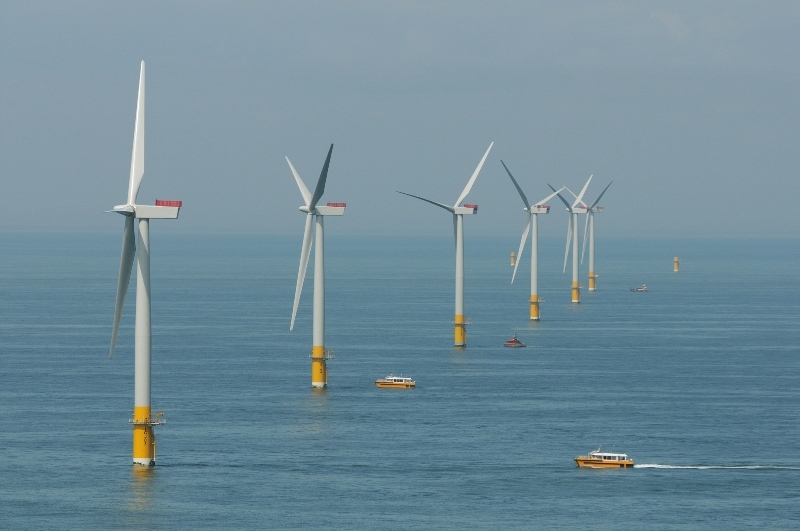 The cost of power from offshore wind turbines is now cheaper than the energy to be generated by the nuclear power plant planned for Hinkley Point in the UK, according to an Unearthed analysis. As French firm EDF prepares to make its final investment decision on the controversial project, Danish renewables company Dong has bid to build windfarms off the Dutch coast for record-breakingly small amounts. The agreed strike price of €72.5/MWh (or roughly £60 at current exchange rates) would would mean an estimated £85/MWh including transmission costs, and no more than £92 taking into account the ‘balancing costs’ to cover for the energy’s intermittency — the government has argued Hinkley offers value because it runs continuously. It’s worth noting that this is far cheaper than the offshore wind projects in the pipeline in the UK, though the upcoming subsidy auction is expected to deliver far better deals than the £110+ contracts agreed in early 2015. Energy from Hinkley will cost £92.5/MWh in 2012 prices (so it’s actually closer to £100). This follows a hugely significant report from the UK government’s spending watchdog, which said renewables such as wind and solar could be a better deal for consumers than EDF’s supersized nuclear reactor. EDF is expected to give the go-ahead to Hinkley at a board meeting on Thursday the 28th of July. The decision had been due earlier this year, but problems at the model reactors in France and China and internal opposition forced its delay. And things aren’t going so smoothly this time either, with the EDF headquarters raided by French financial authorities and employees continuing attempts to block the project. This comes after a difficult few months for the nuclear giant. The UK government recently revised its figures to recognise that the fall in wholesale energy costs will increase the cost of the project — by a mammoth £20 billion. Just a couple of weeks earlier the British people voted for the country to leave the European Union, sparking fears in China – the other major Hinkley investor – that the project will fail. Elsewhere EDF is embroiled in a scandal of faulty parts installed at its nuclear reactors around the world. And then, of course, there’s the damning report from the National Audit Office. According to the Whitehall watchdog NAO, British consumers could face ‘top-up fees’ of up to £30 billion. Hinkley’s only real appeal is ‘baseload’ — meaning consistency of supply. The comparable, even preferable, cost of offshore wind when compared to Hinkey assumes ‘balancing costs’ stand at around £7/MWh, as Imperial College said in their study for the UK’s Committee on Climate Change. Add that to the eye-wateringly low strike price granted to Dong for its Netherlands windfarms, and you’re looking at a total cost equal to – or less than – the baseload energy provided by Hinkley. What are additional balancing costs? Essentially it’s a range of system integration costs that compensate for renewables’ ‘constraints. This includes ensuring network integrity, delivering demand forecasting, and (yes) providing backup baseload generation. But, as I wrote in the lede, the UK’s offshore wind projects are vastly more expensive than those ones are. The next Contracts for Difference subsidies will be awarded later this year so we’ll get a sense then of how much progress has been made since the February 2015 auction, which priced energy from offshore windfarms at more than £110/MWh. All signs point towards a major improvement, however, with recent reports indicating that the UK will comfortably meet its cost reduction target, not to mention the surge of interest in the energy by the European energy majors. Onshore wind is even cheaper, but the government has ended support for it.